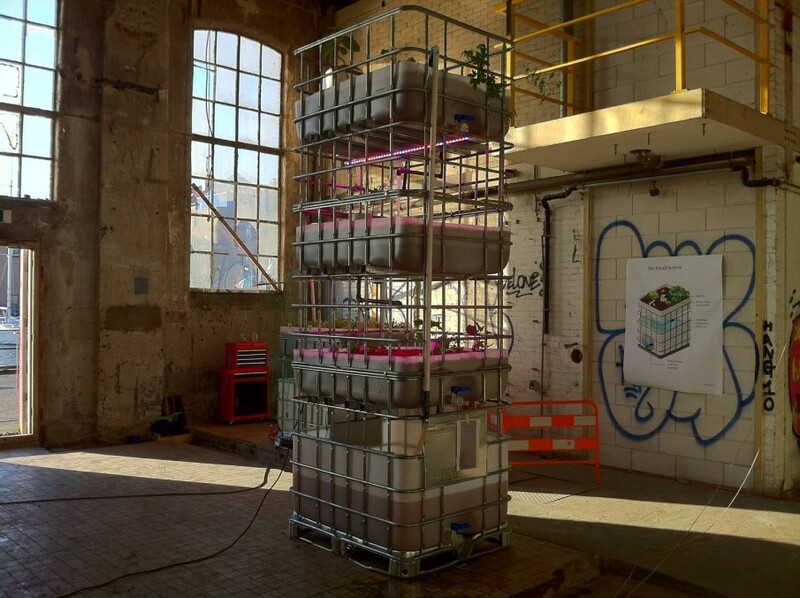 A sustainable food production system that combines the cultivation of vegetables and fish at Mediamatic, Amsterdam. 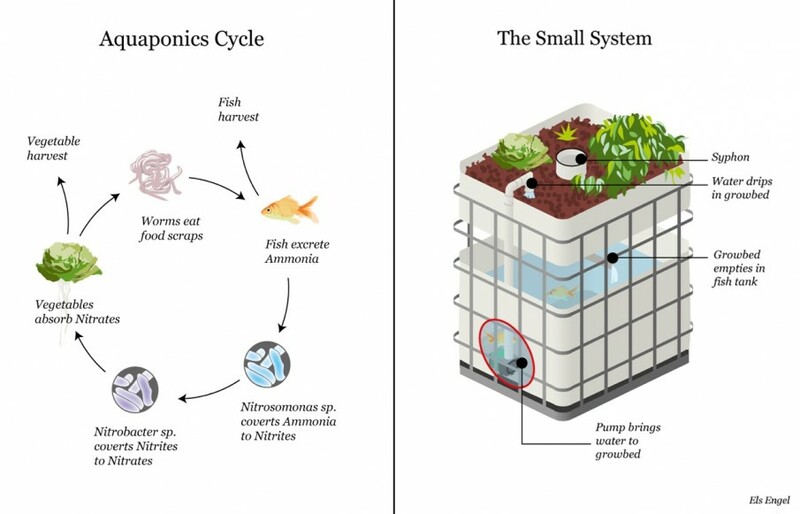 Aquaponics is a sustainable, recirculating ecosystem for food production made up of fish, microorganisms and vegetables. Fish are kept in one container and vegetables in another. Natural bacteria convert the fish waste into plant nutrients. The water with the nutrients is pumped into the vegetable container(s), where the bacteria and the plant roots work as a filter: they clean the water, which is then released back into the fish tank. The fish are fed with the gluttonous, fast-growing larvae of the black soldier fly (hermetia illucens) found near the neighborhood trash. Result: happy fish and organic plants. The 4-level set-up consists of one fish tank and three plant containers. It profits from all the benefits of large-scale sustainable food production, but on a human scale. The main structure is made from recycled shipping containers. 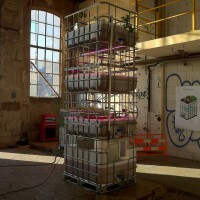 Mediamatic First 4-storey aquaponic system, built with the help of enthusiastic volunteers.